During my trip through Central America I decided to learn the in’s and out’s of publishing a book digitally through amazon, nook, and the ibookstore as I had begun writing a novel during my spare time and wanted to self publish when I had completed it. I had done some research and discovered that anyone could publish works in the public domain, so I spent a few weeks collecting every work H.P. Lovecraft had ever written and started the arduous task of formatting over 3,000 pages of text into ebook format. 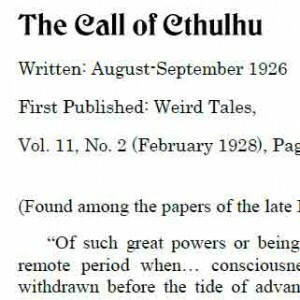 Luckily for me Thomas Phinney had just announced a Kickstarter to fund the creation of the Call of Cthulhu RPG font, and for a pledge of $48 I could use the font commercially. He sent me an early version of the font and I used it extensively through out the book and on the cover. You can see the creation of the cover image here. You can purchase the book at these following locations. Please keep in mind that the Kindle version does not include the collaborations. Buy your copy here, and if you enjoy it please leave me a review! 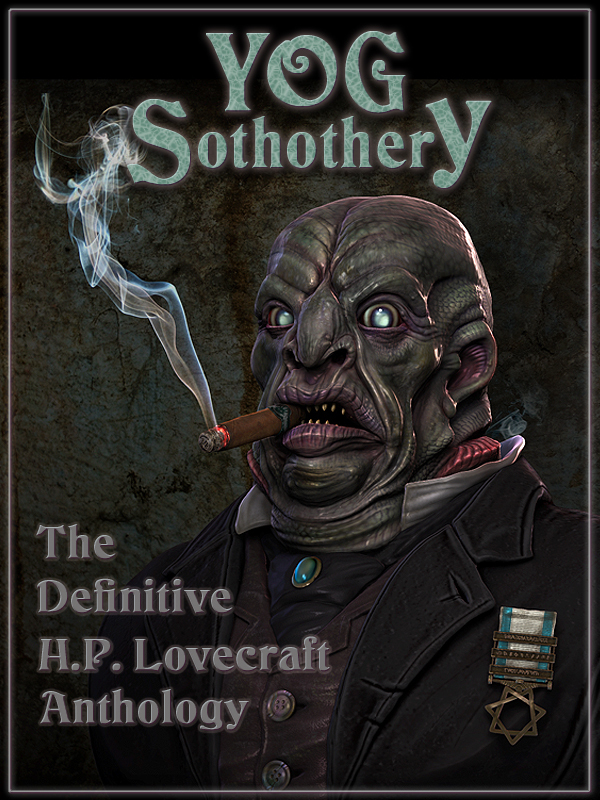 Yog-Sothothery – The Definitive H.P. Lovecraft Anthology contains all of Lovecraft’s writings currently in the public domain including his fiction, poetry, essays, and juvenilia. In his Providence, Rhode Island home H.P. Lovecraft traveled through dream to far away vistas of unimaginable beauty as well as dark mouldering places of unfathomable horror. He revealed the ancient untold secrets of these distant spheres through imaginative fiction, captivating poetry, developed essay, and constant collaboration and correspondence with other dreamers of his time. In his lifetime he gained little fame for his efforts, but slowly his tales of cosmic horror spawned and slithered from obscurity to influence and inspire some of the world’s greatest artists and creative minds. This entry was posted in Books, Lovecraft and tagged Amazon, H.P. Lovecraft, Innsmouth, Lovecraft by admin. Bookmark the permalink.